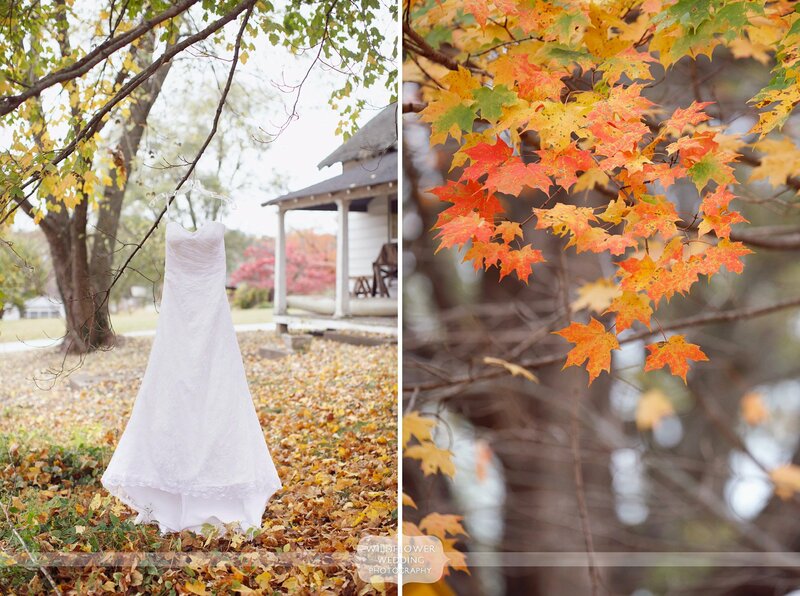 Laura and Glen seemed almost giddy for their fall Missouri winery wedding at the Les Bourgois Vineyard. Laura and Glen first met in 2012, and just six months after their first date, they learned that Glen was going to be deployed 7,000 miles away for a full year. Their relationship grew even stronger during this time, with Laura sending decadent care packages and phone calls that happened all hours of the night. When Glen came home in May of 2014, they knew they would be together forever. Just four months later, he proposed! 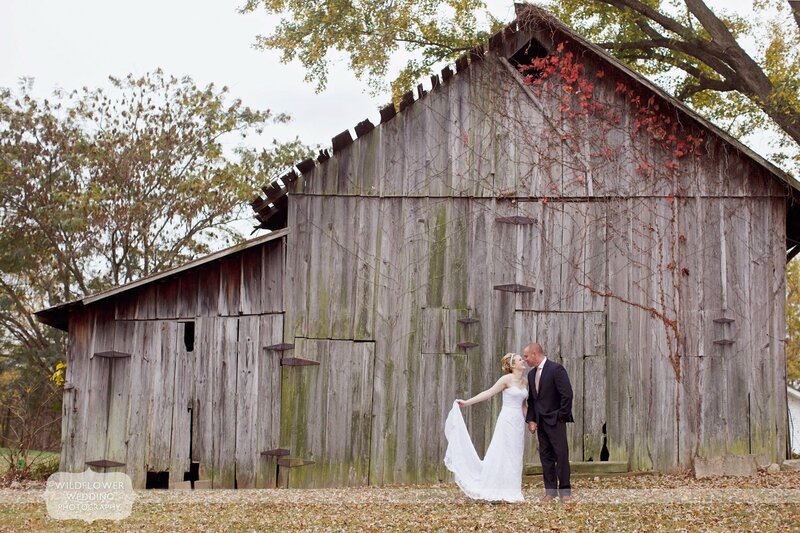 A Missouri winery wedding seemed like the perfect place for Laura and Glen to say “I do”, surrounded by their closest family and friends. Laura and Glen prepared for the day at the School House Bed & Breakfast. Located in downtown Rocheport, this B&B is such a great spot for couples to get ready! 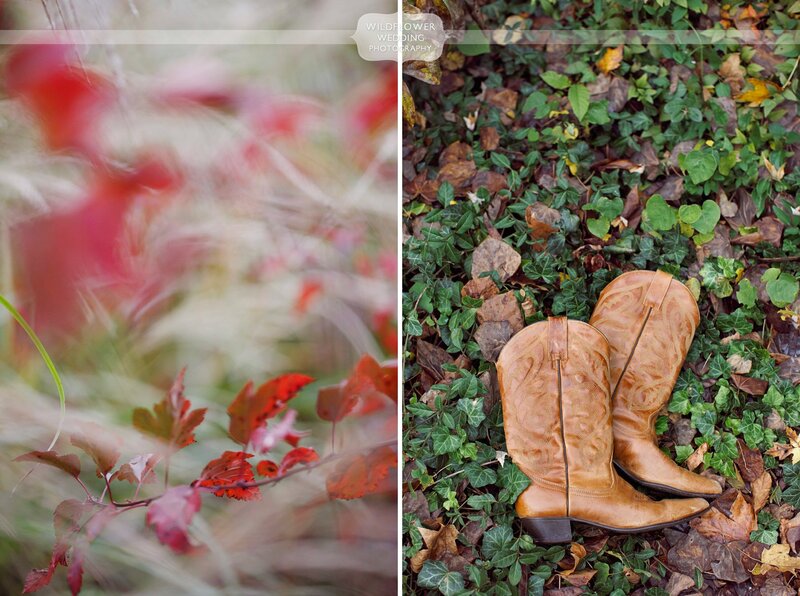 This October wedding had tons of fall color, and these two were up for wandering the streets for portraits! After their ceremony overlooking the Missouri River, guests were treated to a mouthwatering barbecue dinner. Laura and Glen had told us that they would be up for a few photos at sunset. When we looked outside during dinner, we were blown away at the color in the sky! We have photographed lots of weddings at Les Bourgeois, but this sunset was one of the best we’ve seen! After grabbing Laura and Glen, we rushed down to the bluff top for some amazing photos with these newlyweds! We had such a wonderful time spending the day with this laid-back happy couple.